Ten years ago, when Gregor Aufhauser started working with his family's stone masonry company in Austria, little did he know that ten years later he'd be sitting on a terrace in Sighisoara, enjoying the ancient ambiance of the Romanian city. Or about the challenge he'd have to face running a multifunctional complex in Romania during times of crisis. Put at the helm of the Grand compound in Bucharest in 2010, Aufhauser had to face the personal challenges of his first job abroad and of living as an expat in Romania, as well as that of steering the ship through stormy economic seas. Turbulence for retail, hotels and office – all of which are present in the Grand complex – best known for hosting the five-star JW Marriott hotel in Bucharest. The owners of the complex have a management contract with the Marriott chain for running the hotel. The 29-year old Austrian, who studied construction engineering and business in Vienna, has guided himself by one simple principle: doing business is about making money, about making a profit. 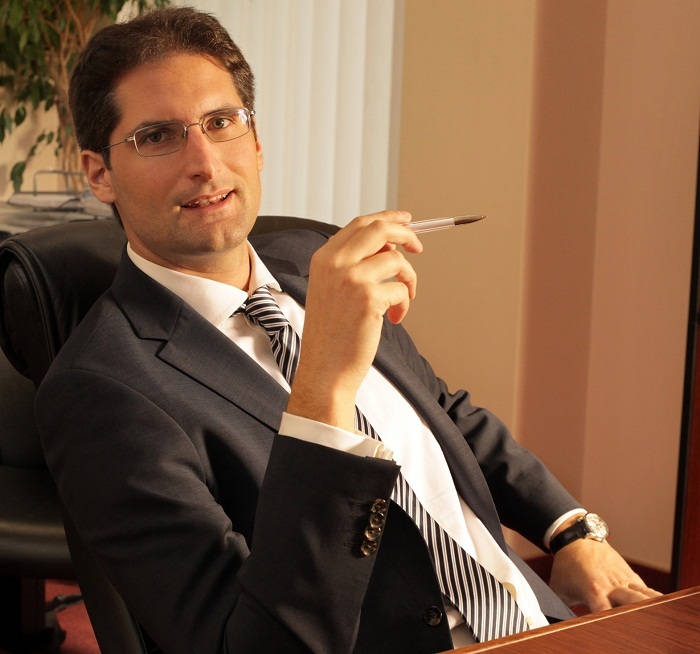 After joining the Grand team as GM in April 2010, Gregor Aufhauser was able to report an increase in year-to-date gross operating profit increase of 23 percent in October 2011, he tells Romania-Insider.com. But it was a team achievement, he says. “Everybody has to function in their job for everything to work, the team, suppliers and business partners. But the most important is the customer,” says Aufhauser. Starting up in Romania two years ago was both a challenge and his biggest accomplishment. [pullquote]“You cannot prepare yourself, you just have to experience it. Some things work differently here,” says Aufhauser. [/pullquote]Romanians have a different approach in relation to contracts and in negotiation methods, a mentality closer to the Southern style, he says, admitting he's still adjusting to the cultural differences. Before starting his Romanian story, Gregor was in charge of Strabag's real estate business in Romania and Bulgaria. Moving in to run The Grand complex, owned by Strabag, was a step forward in his career. The offer he received was so good that he decided right away to take it. Romania was not totally new to him. He first came in 2008, and until he moved here in 2010, he visited it every two months. Once installed here, he tried to get as involved with the Romanians as with the local Austrian community, even though he admits it might be sometimes easier to spend free time with his fellow Austrians. Working with the Romanian staff – and applying what he calls a cooperative style of work - helped him learn more about the country. Passionate about history, the Austrian tries to use his free time to discover more about the country, which is an ongoing process.